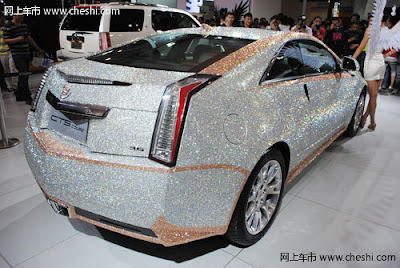 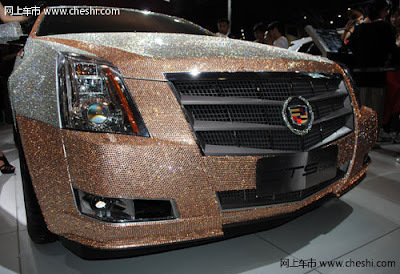 Cadillac CTS Coupe was known as one of the most expensive car in the world today, On Qindao International Auto Show you can see the Cadillac CTS Coupe which is covered with 350.000 Swarovski crystals. 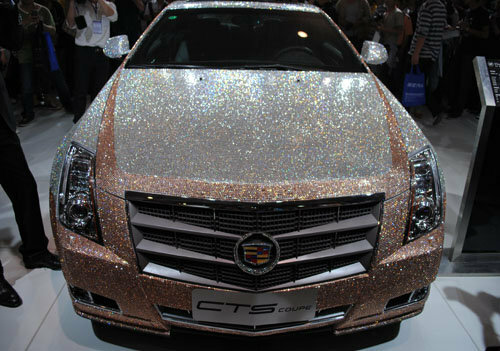 According to brand representatives, this unique CTS Coupe took nine workers a whole week to finish, with each Swarovski crystal mounted to the body of the car with a special fixer. 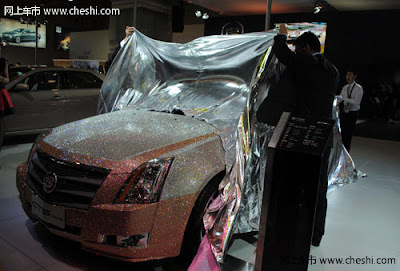 The Diamond Crystal on this Cadillac are guaranteed to stay on even in a car wash, but could this luxury car has a thief proof or bomb proof guarantee? It seems that you have to add a special security features for this Cadillac CTS Coupe. 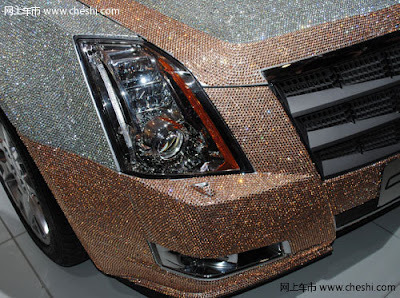 Well i wonder why there's so many car tuner who made a glamorous vehicle like this and this Gold plated vehicle. 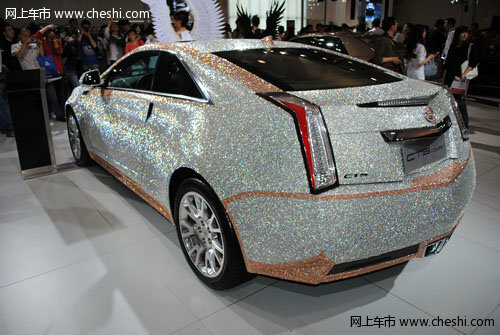 here's more picture of this Cadillac CTS Coupe Covered with Swarovski Crystal.